Peep a new track from Big Kuntry King. Big Kuntry King - Kickin Flav [CDQ] Feat. T.I. Big Kuntry King Feat. T.I. Experience Big Kuntry King Feat. T.I. 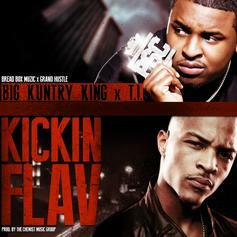 "Kickin Flav" Video, a new offering from Big Kuntry King, which was released on Friday, May 31st, 2013. Things are looking better for Big Kuntry King with each new release, which Big Kuntry King Feat. T.I. "Kickin Flav" Video has proven yet again. 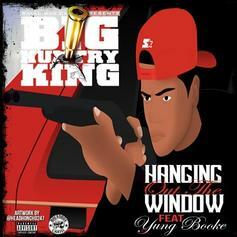 It's worthy addition to the impressive body of work Big Kuntry King has been developing over the years. We're looking forward to hearing what's next. 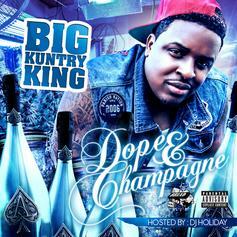 Title track off Big Kuntry King's lean-friendly mixtape "Dope & Champagne". New solo mixtape from ATL's Big Kuntry King. Get a red cup and enjoy this joint featuring his hit "Peach Crush". Check out Big Kuntry King "Big Kuntry King - HNHH Interview" Video, the latest visual from Big Kuntry King, released on Sunday, November 18th, 2012. Big Kuntry King continues to impress with each new leak, and Big Kuntry King "Big Kuntry King - HNHH Interview" Video is no exception. 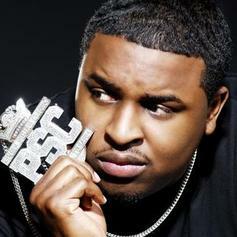 It's strengthens Big Kuntry King's already impressive body of work, which has seen positive change over the years. We're most definitely anticipating Big Kuntry King's next offering. 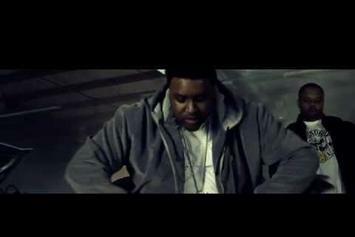 Big Kuntry King - M.O.B. Feat. T.I. Give Everything Big (Hosted By DJ MLK & DJ Scream) a spin - it's the latest tape from Big Kuntry King, having dropped on Tuesday, July 5th, 2011. 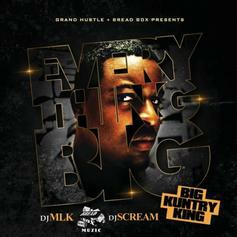 Big Kuntry King's musical situation is improving with every new release, and Everything Big (Hosted By DJ MLK & DJ Scream) will most definitely help the cause. It's a fine addition to the growing body of work Big Kuntry King has been developing since stepping foot in the game. We're looking forward to what Big Kuntry King has in store. Give Don't Touch My Radio (Prod By Marvelous J) a spin - it's the latest release from Big Kuntry King, having dropped on Sunday, February 27th, 2011. Listen to Focus, the new track by Big Kuntry King featuring Rick Ross which was dropped on Thursday, December 2nd, 2010. Give Dancer (Prod By Beat Billionaire And Nard & B) a spin - it's the latest release from Big Kuntry King, having dropped on Sunday, October 17th, 2010. Listen to In The Club (Part. 2), a new offering from Big Kuntry King, which was released on Monday, September 20th, 2010. Check out Dream (Prod By Jim Jonsin), the latest from Spodee which features a guest appearance from Big Kuntry King on the. The track was released on Wednesday, May 12th, 2010. Listen to Beamer Benz Or Bentley Freestyle, a new offering from Big Kuntry King, which was released on Saturday, April 24th, 2010. Check out Cold World, the latest from Big Kuntry King which features a guest appearance from Shawty Redd on the. The track was released on Monday, February 15th, 2010. Bump Lean, the latest cut from Big Kuntry King featuring Yung La And Yo Gotti on the assist. It was released on Friday, February 12th, 2010. Listen to Dancer, the new track by Big Kuntry King featuring Mac Boney which was dropped on Friday, December 11th, 2009. Listen to I Do, the new track by Big Kuntry King featuring T.I., Young Dro which was dropped on Friday, December 11th, 2009.